This October 15th-16th, nail techs, brands, and industry experts will flock to Premiere Beauty Classic in Columbus, Ohio. Here are five reasons that you need to be at this awesome trade show. If you want to be a total trendsetter in your area and be able to offer your clients expertise on the latest styles, Premiere Beauty Classic is the place to be. You can enjoy classes from CND, Light Elegance, and Artistic Nail Design to learn all about what's coming up next season. We know you're committed to making your salon a safe and clean place. Learn from experts such as Nancy King, Jaime Schrabeck, Ph.D. and Vicki Malo to understand the best practices for keeping your salon safe and sanitized. Ohio residents can join Nancy King for their required yearly Safety and Sanitation course. Enjoy demos and samples from your favorite nail care brands, plus esthetics brands that bring the latest in lashes and waxing. Nail techs in Ohio and West Virginia can complete up to 7 continuing education hours with the classes offered at Premiere Beauty Classic. Each attendee can choose from over 200 classes offered at the event, including more than 15 nail-specific classes. 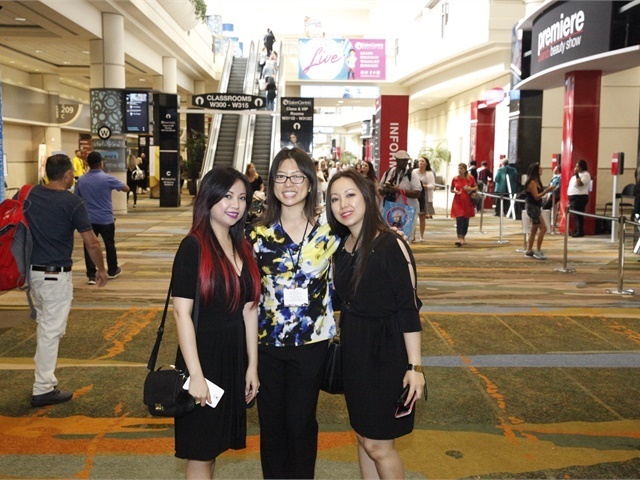 For beauty professionals, Premiere Beauty Classic is the place to meet and bond with people who share your passions. You'll have the chance to hang out, network, and learn from peers and industry experts, so go ahead and register today!